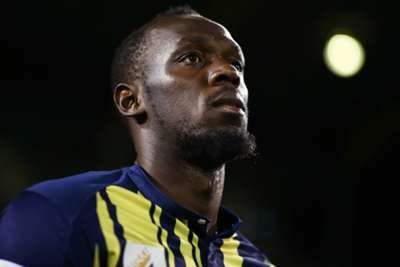 Central Coast Mariners said they are still in negotiations with Usain Bolt amid speculation the Olympic champion had rejected an offer from the A-League side. Reports emerged that Bolt, 32, turned down a contract from the Mariners, a proposal "much, much less" than the sprint superstar originally wanted, according to A-League chief Greg O'Rourke. The Mariners responded to speculation on Tuesday, revealing a deal to sign Jamaican superstar Bolt to a professional contract will not be possible without "the financial contribution of an external third-party". Central Coast also said Bolt – who has been trialling with the Mariners in Australia since August and turned down a contract from Maltese champions Valletta – will not train with the team until and if terms are agreed. "The Central Coast Mariners and Usain Bolt's representative Ricky Simms have progressed contract discussions and would like to offer clarity around the negotiations between the club and Usain Bolt," the statement read. "The club can confirm that a contract proposal has been offered by the Central Coast Mariners and negotiations remain ongoing with Usain Bolt and his management regarding his football future. We would like to offer clarity around the contract negotiations between #CCMFC & @usainbolt. "Both parties are eager to explore all options and ensure that if there is a suitable way forward for both player and club, the two parties will keep working together and formalise an agreement. The Central Coast Mariners want to ensure that Usain Bolt is given every chance possible to fulfil his dream to become a professional football player. "There are two main terms of discussion involved in this negotiation: football and commercial. "Regarding the football terms of the negotiations, Usain has made great progression during his time on the Central Coast and we feel that he will improve further with more individual intensive training and competitive game time. We are looking at ways to do this as the club does not have the luxury to be able to do this in the A-League. "Regarding the commercial terms of the negotiations, Usain Bolt’s management and the Central Coast Mariners are in conversations with external partners to find a commercial solution that suits all parties. It is important to note, that contract values speculated in the media are incorrect. Without the financial contribution of an external third-party, it is unlikely that Usain Bolt and the Central Coast Mariners will agree to terms. "To ensure that there is no distraction to the A-League squad in preparing for this weekend's match vs. Melbourne City; Usain Bolt will not attend team training this week, until and if, the club and Usain Bolt can agree to terms and formalise an arrangement."